and field-proven in environments from remote Andes mountains to Saharan deserts. technology leadership in waste-to-energy solutions. Small waste generators with 100 kilograms to 15 tonnes per day are best served by the EWS batch load waste system. Waste materials are loaded into the system manually or using a machine. Once the system is full, the process is started by pushing a button. From there the automated control system takes over until the conversion process is complete. This operation uses minimal manpower so that our customers can focus on what they do best – instead of worrying about waste management. 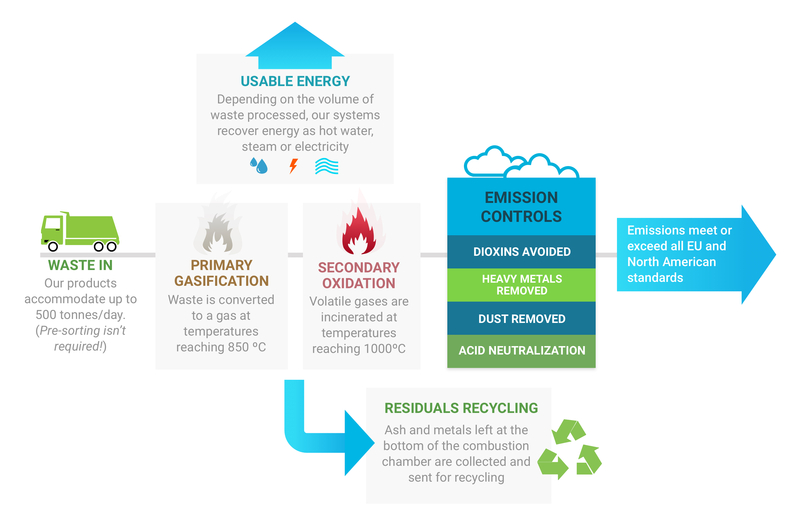 Our batch systems use a starved-air (pyrolytic-style) process to convert the waste into a gas. The gases are then mixed with Oxygen and exposed to high temperatures to complete the conversion process. Waste volume is reduced by more than 96% to a safe, non-toxic residual. Specifically designed for producing energy from waste. The continuous feed systems operate 24 hours per day , 7 days per week, and are perfect for small to medium sized cities, waste facility operators, and large commercial waste generators. Capacities range from 50 to over 100 tonnes per day per processing line.. Multiple lines are ideal for projects up to 300 tonnes per day. Our CA Model comes in 3 sizes and can handle 200-750lbs of waste per batch. Our Continuous Feed models are community-sized and can handle 50-100 tonnes/day. 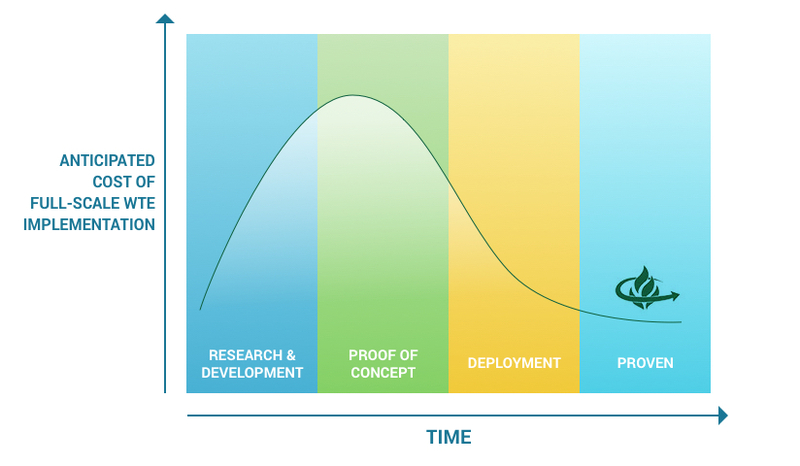 The ECO Mobile containerized solution is designed to be mobile, scalable and rapidly deployed. The ECO Model Batch system is designed to process 1-10 tonnes of waste per day. Our Flash Furnace is designed for thermal decontamination of scrap metal from munition scrap. The best reason to choose EWS? Our solutions have been field-tested and proven in more than 80 locations in 18 countries worldwide. But don’t take our word for it – we’d be happy to put you in touch with some of our clients, who can tell you just how effective EWS systems have been.